Practical Insights About Falling In Love! When a couple is falling in love slowly, that is a good sign! A romance that is too quickly is a recipe for trouble. 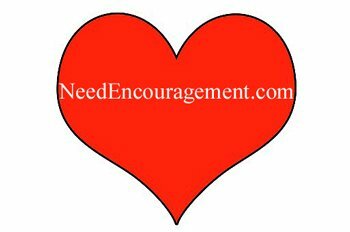 Here are some encouraging scriptures concerning love. Ephesians 5:3 But among you there must not be even a hint of sexual immorality, or of any kind of impurity, or of greed because these are improper for God’s holy people. Are You Interested In Falling In Love? God has wired us to be relational beings, one man with one woman. Falling in love and being in love are beautiful gifts from God. What God had in mind from the beginning of time, real mature love and respect, connected with commitment. I have fallen in love only to learn that the romance was more of conditional love, rather than unconditional love. It is always best to keep physical signs of affection under lock and key until the time you are both sure that the realtionship is going to last. Then it wise to get counsel and possibly an engagement and plans for marriage to follow. But keep the physical side away so it will not distract from getting to really know eachother and prepared for marriage. I was married ten years only to find out falling in love is only a small part of love, not the lion share of love. Keep Sexuality Out Of Falling In Love! Most of us know that falling in love is beautiful, but you still need to take things slowly and be careful. In our society with a heavy influence of sexual freedom and independence and lack of moral fiber, these issues have dirtied the water when it comes to falling in love. Too often people mistake of having sexual feelings for a feeling of falling in love. This fact has been responsible for many single-parent households, abortion, sexually transmitted diseases, and broken homes. Should I expect any certain thing when looking for in a wife? Take The Time You Need To Do What You Need To Do! Keep your eyes open for red flags. “wide open” please! And thank the Lord that He reveals them. If your heart is in His calm control, you can more clearly see and discuss these flags with Him and even with her to help her analyze and pray about where these are coming from and how to deal with them. Do not let a man/woman get on the same or near the same level as God is in your life. Mother looks at Daddy’s picture every night and says, “Goodnight my dear Autrie. You will always be just under the First Love of my life! Autrie had almost 66 years of marriage. Don’t assume a man/woman is wonderful to let them show you. That thought is just helpful for you to guard your mind and thoughts further. Keep from racing ahead of God’s perfect timing! When You Fall In Love, Stay In Love!